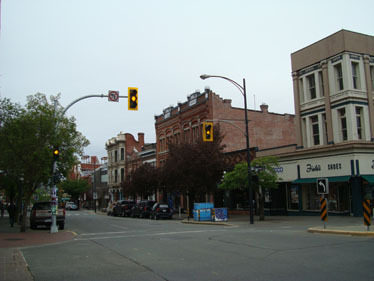 As the streetcar travelled down Yates Street and made the turn to Government Street, the 500-block of Yates Street was clearly seen. This block with its wholesale outlets and numerous saloons, hotels, restaurants, and offices was the heart of the commercial district in early twentieth-century Victoria. Please follow the links and it will walk you down the block to Wharf Street and back to Government Street.